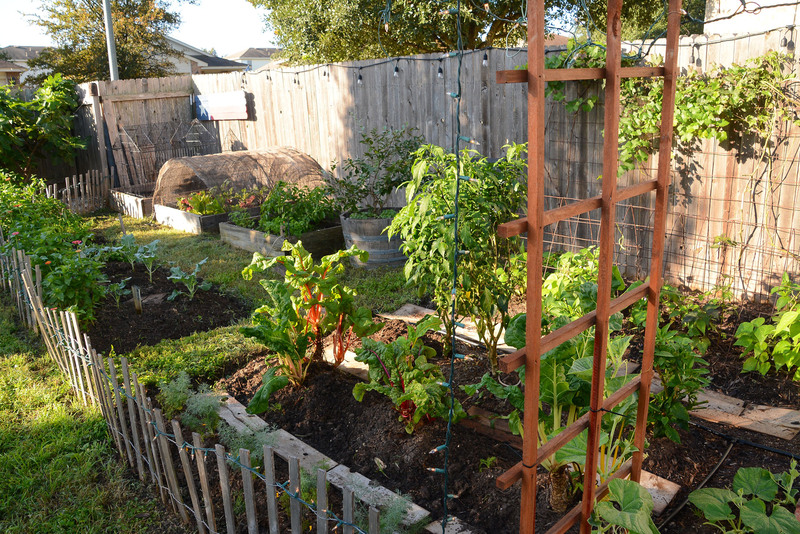 At home and around town, gardeners are turning lawns and vacant land into fruitful harvests. Brie Arthur, horticulturist and author of The Foodscape Revolution, shows how to add food crops, including grains, to our ornamental gardens. On tour, the Festival Beach Food Forest and Community Garden grows community bonds and good health. Daphne identifies fungal disease on Mexican plum and Kieffer pear trees and what caused it. 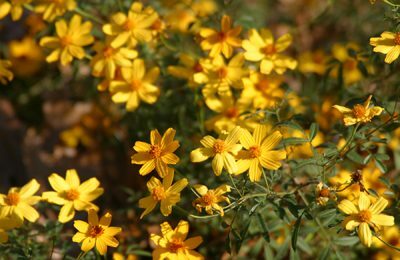 Plant of the Week is native Copper Canyon daisy, a perennial food source for wildlife. Trisha crafts a pretty and practical way to organize flower and food seed packets. How does growing food unite a community? In East Austin, the Festival Beach Community Garden brings together multicultural gardeners of all ages to share planting techniques, seeds, and recipes. On adjacent park land, volunteers at the Festival Beach Food Forest nurture a 7-layer fence-free food forest open to public harvesting. Brie Arthur, horticulturist and author of The Foodscape Revolution, shows how to add food crops, including grains, to our ornamental gardens. What caused fungal disease on Mexican plum and Kieffer pear? First, Mo Saiidi’s two-year-old Mexican plum tree was beautiful its first year. After that, the new leaves that developed were deformed, and would eventually shrivel up and fall off. We consulted Extension fruit specialist Jim Kamas on this one, and learned that the problem is a fungal disease known as peach leaf curl. The good news is that this is a leaf issue, and it can be dealt with effectively by preventative sprays of copper hydroxide fungicide. Apply when the tree is dormant, just before budbreak. In early spring, watch for the tree to develop buds and swell as they grow. The time when the buds are swelling would be a good time to spray. Cool, rainy springs contribute to this issue, but if the spring is warm and dry, the fungal spores are not as prevalent. The tree should grow out of this once the air turns warmer and drier, but growth may be stunted, since the tree needs healthy, green leaves to photosynthesize, and it will need to draw on carbohydrate reserves to produce new leaves. Next, George Horn’s Kieffer pear tree suffers from quince rust. Jim Kamas confirms that this isn’t a common disease around here, but Kieffer pears are particularly susceptible to it. Jim suggests removing and tossing all of the affected fruit. Unfortunately, the fungicides labeled to treat this disease are not readily available to homeowners, so if this problem recurs, it might be best to remove the tree. Copper Canyon daisy is native to the Sonoran desert of Southern Arizona and Northern Mexico. This perennial shrub is very drought-tolerant and suffers if soil is kept too wet, so good drainage is important. On heavier soils, consider planting in berms amended with decomposed granite. Plant in full sun to part shade. Include in low-water succulent designs to complement structural plants. Copper Canyon daisy gets about 3-6’ feet in height and can spread just as far. Its narrow, pungent leaves deter deer (usually!). Blooming mainly in late summer through fall, it can also flower in late spring. Its small, golden yellow flowers attract bees and butterflies. In most winters, top growth will die back after the first frost. Shear back to the ground in late winter/early spring. If it blooms in spring, trim it lightly in early summer to reinvigorate the plant and encourage summer foliage and fall blooms. Trisha crafts a pretty and practical way to organize flower and food seed packets.